It was 50 years ago today that the phrase “Miranda warning” was born, after the Supreme Court ruled in a landmark case about the Fifth Amendment. The Supreme Court overturned Miranda’s conviction on June 13, 1966, in its ruling for Miranda v. Arizona, which established guidelines for how detained suspects are informed of their constitutional rights. The decision consolidated three other cases that dealt with related issues: California v. Stewart, Vignera v. New York, and Westover v. United States. The syllabus for the case includes one of the best-known sentences in American culture. “The person in custody must, prior to interrogation, be clearly informed that he has the right to remain silent, and that anything he says will be used against him in court; he must be clearly informed that he has the right to consult with a lawyer and to have the lawyer with him during interrogation, and that, if he is indigent, a lawyer will be appointed to represent him,” it says. Justices John Marshall Harlan II and Byron White issued dissents. “Nothing in the letter or the spirit of the Constitution or in the precedents squares with the heavy-handed and one-sided action that is so precipitously taken by the court in the name of fulfilling its constitutional responsibilities,” said Harlan. The Miranda warning actually includes elements of the Fifth Amendment (protection against self-incrimination), the Sixth Amendment (a right to counsel) and the 14th Amendment (application of the ruling to all 50 states). However, there are common misunderstandings about what Miranda rights are, and how they can protect someone under criminal investigation. First, there isn’t one official Miranda warning that is read to a suspect by a police officer. Each state determines how their law enforcement officers issue the warning. The Supreme Court requires that a person is told about their right to silence, their right to a lawyer (including a public defender), their ability to waive their Miranda rights, and that what they tell investigators under questioning, after their detention, can be used in court. The Miranda warning is only used by law enforcement when a person is in police custody (and usually under arrest) and about to be questioned. Anything you say to an investigator or police officer before you’re taken into custody—and read your Miranda rights—can be used in a court of law, which includes interviews where a person is free to leave the premises and conversations at the scene of an alleged crime. 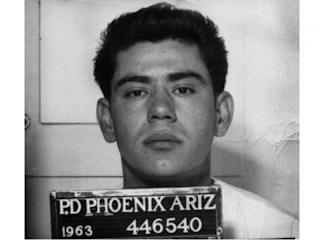 In fact, Ernesto Miranda came into a Phoenix police station voluntarily to answer questions in 1963 and also took place in a police lineup. The police can ask you questions about identification, including your name and address, without a Miranda warning. And they can use any spontaneous expressions made by you as evidence—for example, if you say something without the prompting of police before you’re taken into custody. Of course, you’re still protected by your Miranda rights—after you’re detained—even if you waive them after an arrest. At any time, during an interrogation, you can stop answering questions and ask for a lawyer. As for Ernesto Miranda, though his original conviction was set aside by the Supreme Court ruling, he was retried and convicted, and was in jail until 1972–then in and out of jail several more times until 1976. After being released in 1976, he was fatally stabbed during a bar fight. His suspected killer was read his Miranda rights and didn’t answer questions from police. There was never a conviction in Miranda’s death.